Robert Everett - is a freelance writer and a blogger from New York, who is passionate about studying and learning something new every single day! He has a Master's Diploma in Journalism, which means that he has a professional degree in writing academically. Robert's life credo is: "Love what you do and do it with passion!" He is interested in sports and arts. Besides, he is crazy about modern music. 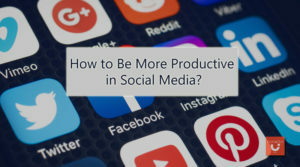 How to Be More Productive in Social Media?